This article explains how specialized yoga classes can address the physical and emotional side effects of cancer diagnosis and treatment. Yoga classes for cancer patients provides a much needed outlet for stress relief and physical strengthening during what may be the most challenging time of a person's life. This is the mantra of Tari Prinster, a cancer survivor and creator of the Yoga for Cancer (y4c) program. The ultimate goal of the Y4C program is to provide quality support through yoga for cancer patients and survivors to help them live longer, healthier and happier lives. The philosophy is that true compassion comes through knowledge and understanding of the unique challenges - both physical and emotional – that cancer patients face, and to provide guidance and leadership to help them achieve a healing yoga practice. The training provides information, tools and insights on cancer and cancer treatment on the human condition. It is a specialized yoga methodology that is tailored to address the specific physical and emotional needs encountered with a cancer diagnosis and subsequent treatment protocols. It focuses on how to stimulate the immune system through movement, improve flexibility and strengthen bones, create a sense of empowerment to reduce anxiety, and support overall health. 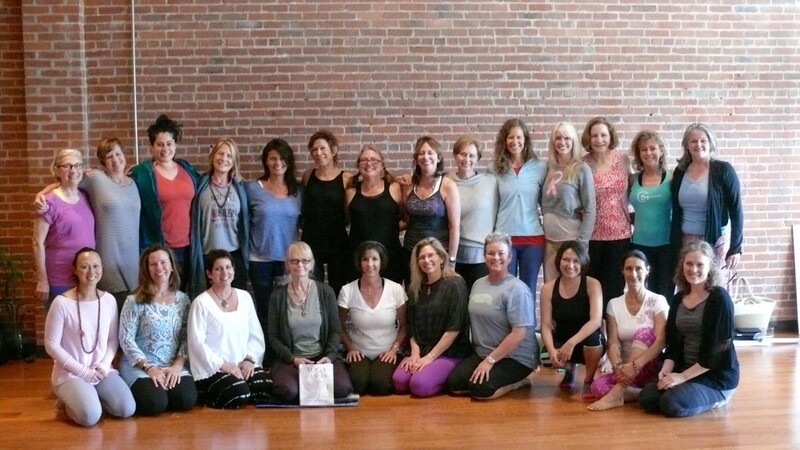 Another aim of the yoga for cancer classes is to create a safe place where cancer can be openly acknowledged and to foster a sense of community where the patients become students and friends. Yoga helps to address many of the common side effects from cancer treatment such as lymphedema, bone loss, neuropathy, constipation, fatigue, depression, insomnia, dizziness, and hot flashes. Detoxification is one of the most important benefits of yoga which applies the science of physics by using the principles of movement, gravity, and resistance to improve the flow of blood and lymph. Numerous yoga poses, sequences, and breath work facilitate lymphatic drainage to eliminate waste. Lymph fluid can be directed with gentle inversions, and yoga twists affect blood and lymph circulation by contracting and releasing muscles to help cleanse our internal organs. Lymphatic flow can also be significantly improved by compression and self-massage techniques taught during class. The mechanics of movement in yoga poses is the foundation of the scientific explanation of how yoga works to assist the immune system in its job of protecting the body and increasing the responsiveness of T cells to defend against bacteria, infection, and cancer recurrence. Yoga improves heart rate, respiratory function and cardiovascular health at the same level as running without risk to joints. Improved blood flow and circulation also helps to strengthen the nerves and lessen the pain of neuropathy. Yoga increases range of motion and flexibility from scar tissue due to surgeries and radiation and relieves joint stiffness from chemotherapy and hormone therapy. Yoga creates a strong spine and immune system, and bone density is increased in balancing poses. Dizziness is addressed with techniques that provide proper posture and focus. Yoga helps to manage weight gain through active movement and enhances body image and self-esteem which can help lessen feelings of sadness and depression. Fear, anxiety, insomnia and quality of sleep are all addressed by stimulating the parasympathetic nervous system to provide a relaxation response through the use of breath work and gentle movement. This relaxes the nervous system and the quiets the mind of limiting, negative thoughts. Yoga provides the opportunity to feel more hopeful, peaceful and calm, cultivate positive emotions, reduce drug dependency, and enhance feelings of empowerment and well-being. Finding Stillness and Breath Awareness to nurture and detoxify organs and cells, strengthen the immune system and keep the body resistant to cancer. Breath work is also a powerful tool for lessening the effects of hot flashes. Vinyasa Flow links breath with movement to move the spine in all directions, elongating, flexion, extension, side bends and twists. Transitions from one pose to another are done safely, and symmetry in poses is provided to the level of the less flexible side of the body through the use of supporting props. Movement improves circulation and mobilizes blood and lymph fluids, keeps organ tissues nourished and allows the body to detoxify. Modification to traditional yoga poses helps to manage pain while providing movement even when the range is motion is limited. Movement has numerous health benefits for cancer patients including assistance with symptoms of constipation and fatigue. Balance through Alignment, with support if needed, grounds, focuses, strengthens bones, prevents falls and fractures, and improves posture. Rest and Restore poses with breath awareness induces calmness and rest and releases muscle tension and distracting thoughts. Shavasana – also called Sunset pose is a resting pose that provides complete physical and mental relaxation and seals in the benefits from the class. The basic principles of safety first, knowledge of risk factors, providing information and motivation, a sense of community, and fun are all incorporated into a yoga for cancer class. Yoga helps the human body work better, easier and more efficiently. Yoga for Cancer classes support the emerging philosophy of how evidence-based integrative health care can be incorporated to provide patient satisfaction and the best possible outcomes for cancer patients during treatment and beyond.